Made by women, for women, and primarily about women, it is a new kind of publication—one that puts the focus on real women’s lives. It has become a touchstone for those who actively absorb fashion but do not obsess over it. Integrity, Simplicity and Intelligence are the three things brought to life in each issue. It is apparent in the editorial and design approach, but most felt in the way the magazine treats its subjects and readers. Each volume unpacks one clear idea, something timely but also timeless. It acts as a thread through every concept, image and quote, creating a distinct Unconditional universe biannually. 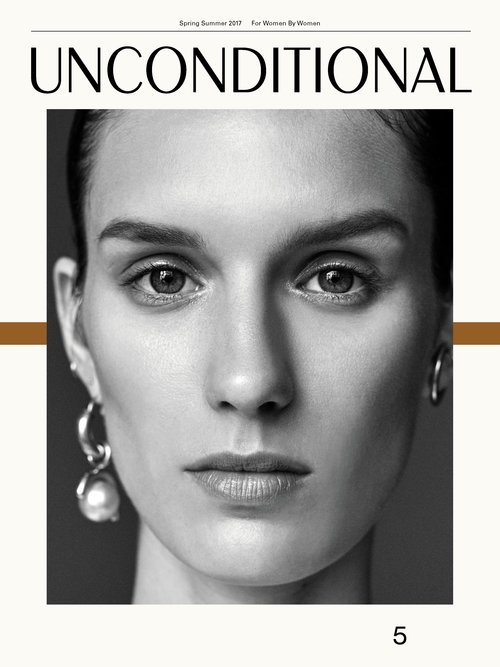 Unconditional N°8-2 n'est pas en stock aujourd'hui. Unconditional N°8-1 n'est pas en stock aujourd'hui. 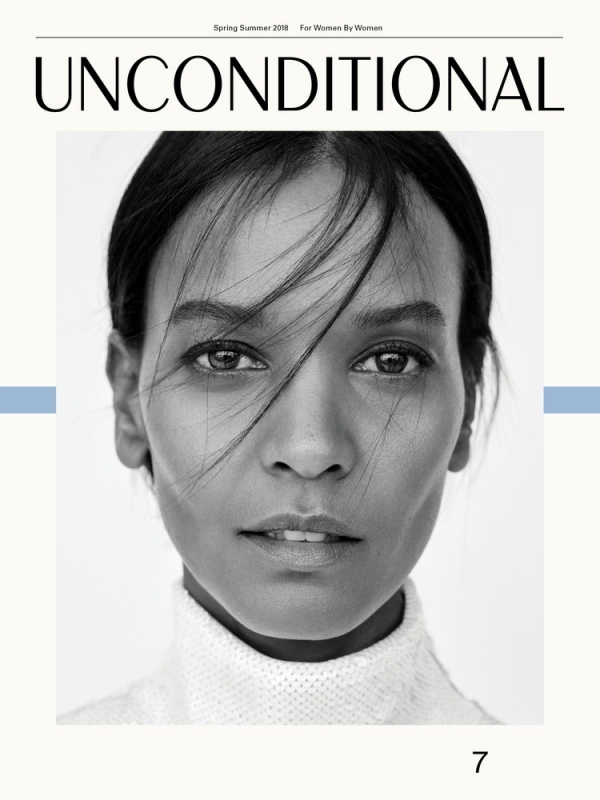 Unconditional N°7-2 n'est pas en stock aujourd'hui. 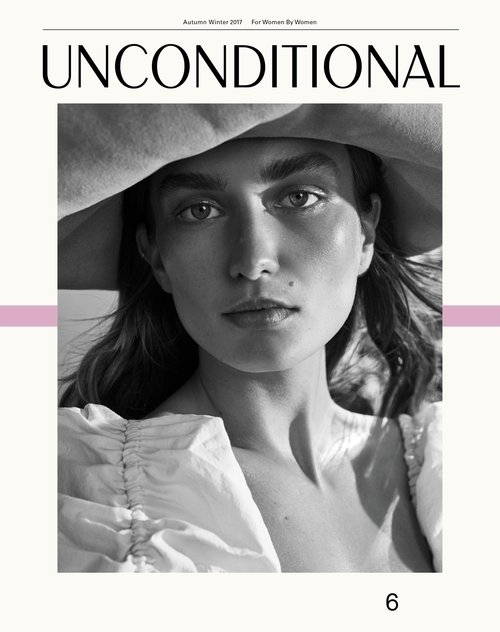 Unconditional N°7 n'est pas en stock aujourd'hui. Unconditional N°6-2 n'est pas en stock aujourd'hui. Unconditional N°6 n'est pas en stock aujourd'hui. Unconditional no. 5 focuses on the individuals who understand that to be free creatively, we need to shake off artifice and automatic ideas. Melanie Ward, who led the assault that originated to our current creative impulse, is this spirit incarnate. Marte Mei van Haaster is an artist, a model, and muse to many who is firmly in control of her own story, and a career that continues to take off. Far from the cliché of a super, Julia Stegner has never tried to be anything but real, despite the preternatural ability to walk on to a set and become anyone. Together with Crystal Moselle and Kelly Lee Owens, who are pushing boundaries in film and music, these individuals are catalysts for change. This issue is of Unconditional for the misfits and the iconoclasts. Unconditional N°5-2 n'est pas en stock aujourd'hui. Unconditional N°5 n'est pas en stock aujourd'hui.